Drs. Robert and Heather Heil believe that you and your whole family deserve to enjoy healthy, confident smiles. That’s why this husband-wife team has been practicing dentistry for over a decade and developing precise, personalized skills that you can count on. Our team is proud to offer friendly quality care, a wide range of services, and the latest dental technology. We can’t wait to treat you to an experience that exceeds your expectations. Families from all over the Fox Cities are invited to visit our practice and become valued members of our oral healthcare family. Contact us today if you have any questions, or if you’re ready to schedule your first appointment! At Dental Expressions, husband and wife team Drs. 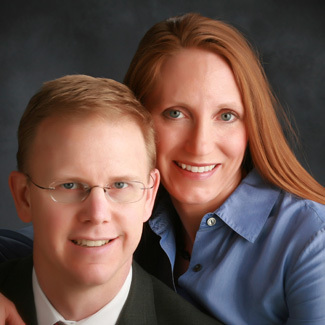 Bob and Heather Heil consider our patients an extension of a larger dental family. We want to make sure you and your loved ones have access to high-quality dentistry whenever you need it -- and our practice is built on long-lasting, personalized relationships. Many patients feel nervous or frightened when it comes to dental care. We can help you feel truly comfortable with the relaxing power of sedation dentistry. Are you ready to enjoy a beautiful, new smile? Our cosmetic services can seamlessly erase flaws and give you the stunning look you’ve been dreaming of. Sleep apnea can be a dangerous problem when you’re not receiving the proper help. Our customized oral appliances can help you finally get a good night’s rest. 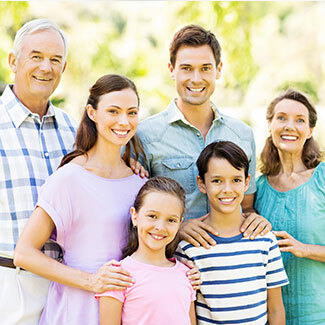 Dental Expressions offers a range of services suitable for the entire family. From the littlest smile in your family to your own general or restorative needs, we’ve got you covered with a state-of-the-art, expert approach. You and your loved ones can count on Drs. Bob and Heather Heil for a variety of services -- including your routine checkup and cleaning, cosmetic procedures, and much more. No insurance? That’s not a problem at all here at Dental Expressions! By becoming members of our smile club, you and your family can enjoy two healthy cleanings a year, two regular check-ups a year, a 15% discount off all dental work, and more. Nobody should have to go without quality dental care. Our office is in-network for many major plans, and we’re happy to file claims on your behalf. We look forward to meeting you! Contact our Freedom, WI office today to start working towards better, brighter oral health with a team that supports you every step of the way.